Judy Rankin is a LPGA legend and broadcasting pioneer. She amassed 26 wins on the LPGA Tour, including six in 1976, before becoming the first female golf broadcaster in 1984, when she was hired by ABC Sports. Born Judy Torluemke on February 18, 1945 in St. Louis, Mo., Rankin began playing golf at the age of 6 under the tutelage of her father Paul, an avid golfer. She won the Missouri Amateur at age 14, and the following year at the 1960 U.S. Women’s Open she became the youngest player to win low amateur honors, when she tied for 24th at Worcester Country Club in Worcester, Mass., at age 15. Rankin turned professional in 1962 at age 17 but needed six years before capturing her first LPGA victory in 1968 at the Corpus Christi Open. Her most successful season was 1976, when she won six tournaments and set a LPGA season earnings record of $150,724 on her way to becoming the first LPGA player to exceed $100,000 in season earnings. She was the LPGA’s Rolex Player of the Year in 1976 and ’77, and won the Vare Trophy for lowest scoring average in 1973, 1976 and 1977. Also in 1977, Rankin set an LPGA record with 25 top-10 finishes, a record that still stands. Judy married Walter “Yippy” Rankin in 1967 and together they had one son, Walter Jr., born in 1968. Yippy died in 2012 of throat cancer. Rankin finished runner-up in four major championships but won two events that later were designated as majors. She captured the 1976 Colgate Dinah Shore Winner’s Circle, known today as the ANA Inspiration, and the 1977 Peter Jackson Classic, which was an LPGA major named the Du Maurier Classic from 1979-2000 (It is now the Canadian Pacific Women’s Open.). Rankin’s last victory came in the 1979 WUI Classic. Ongoing back problems forced Rankin to retire in 1983. She captained the United States to consecutive victories in the Solheim Cup in 1996 and ’98, the latter held at Muirfield Village Golf Club, and considers that the highlight of her career. Following her remarkable career on the golf course, Rankin became arguably the most successful and respected female TV golf analyst, first for ABC Sports and continuing today as analyst with the Golf Channel and ESPN. She took a brief leave of absence in 2006 after being diagnosed with breast cancer. 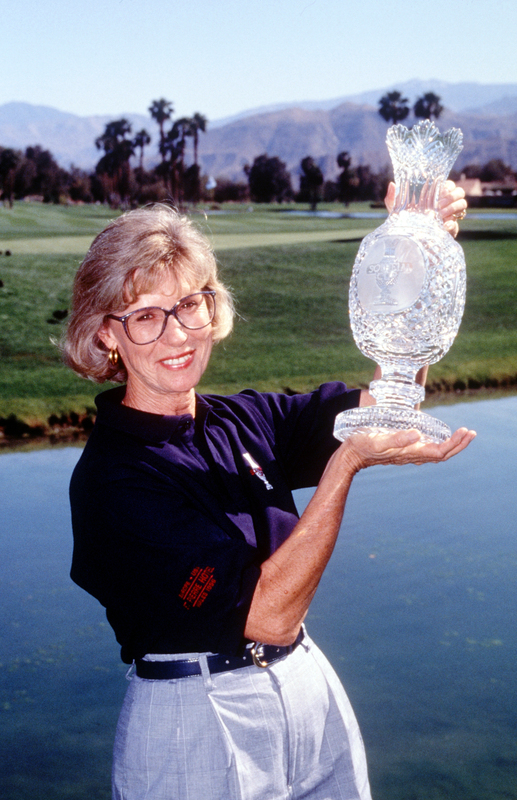 In 1999, Rankin was awarded the Patty Berg Award by the LPGA and the Richardson Award by the Golf Writers Association of America for outstanding service to the game of golf. In 2002, the USGA recognized Rankin with its most prestigious distinction, the Bob Jones Award, for distinguished sportsmanship in golf. A member of the Memorial Tournament’s Captains Club, Rankin resides in Midland, Texas. She has three grandchildren.